I have always hated saving. I spent money before I had it and lived beyond my means without even thinking about it. It got to the point where I had thousands of pounds worth of debt in an overdraft, multiple credit cards and the odd store card. I managed to get out of debt and I actually found saving slightly addictive. I don't like it and to be able to stand it I have lots of little gimmicks and tricks to keep me going. 1. Bank Transfer on Payday. The single most painful thing I do each month. The bank transfer on payday far surpasses the pain of paying rent because I know I HAVE to do that and at least once I've transferred rent money it's well out of my grasp. Saving a chunk of my salary each month when I'm not a natural saver hurts because I can see it staring me in the face in my other account. I could move it back to my current account any time I'd want and it's sheer willpower that's keeping me in check. There are a bunch of other options you could do if like me you struggle to just leave well enough alone ; transfer your savings to a family member or friend, or set up a specific savings account with no/difficult access. I haven't gone for either of those options however because I keep telling myself this is a skill I NEED to learn. I will learn to resist the temptation to buy 5 lipsticks in one go or book a trip that I definitely don't need and I will learn to save and be responsible. 2. Penny Savings. This is something that Hannah Lisa talked about in a video on her YouTube Channel and she got it off Skint Dad's Blog. In theory you save a penny a day and each day you add a penny. So day 1 you save 1p, day 2 2p and so on and on. By day 25 you're saving 25p and day 26, 26p. You do this for 365 days and trust me them penny's add up! By the end of December 2017 I will have saved £671 by using the penny method. Check out this handy tracker if you fancy doing it yourself - great way to stay on top of what you need to save each day. It would be far too fiddly to do this with actual pennies in my opinion so I'm transferring between accounts on my online banking. After 29 days I have £4.35 - WOOHOO! The temptation is going to come in July/August when there is a couple of hundred quid in there and mama wants a holiday. WILLLPOOOWERRRRR. 3. Change Jar. I've had a bell jar on my book shelf for nearly a year now and every time I take cash out of a cash machine and break a note, I put whatever loose change I have in the bell jar. Find a few coppers around the house? Bell jar. I've even gone wild a few times and thrown the odd fiver in there. As it stands I have around £160 in there but I've dipped in a few times to get my nails done or pay for a takeaway. I'm also pretty sure in the early bell jar days I got scared about having cash in the house so I would bank it every £50. In 2017 I will not touch the bell jar until its full and I reckon I'l fit around £300 in there. Please don't rob my house. 4. Natwest Rewards. This is obviously pretty specific to people who bank with Natwest but it's effectively free money for having direct debits come out of your account. The more direct debits and standing orders you have the more free money you get. I only have a couple so I get about £5 a month. I'm not gonna knock it though, so far that's £38 I wouldn't have otherwise. This is another account that will be left untouched for the year. WIILLLPOWWWERRRR. Other things I've done to help reduce the amount of money I'm spending are pretty obvious but they do take a fair bit of discipline to stick to. . . Spending ban - No shopping spree's, no online shopping, no beauty hauls. I haven't put a time limit on how long I'm going for but I recommend for your sanity putting a deadline on it will make it more achievable to stick to. £50 a week budget - I now take £50 out in cash and leave my cards at home. It stops the online shopping temptation at work and I can't just nip to the shops on lunch and spend money I don't need to. It means when I do need to make a big ticket purchase I have to consider it and evaluate whether I really need it. Cycle to work - this one seems impossible to anyone who commutes around London but it really really isn't. If I can do it then anyone can. You obviously have the initial outlay if you choose to pay a bike outright or you could do as I did and get one on 0% finance at Halfords. Instead of paying £165 a month on a tube pass I pay £33 for my bike and will own it outright come September. HUGE saving and my mood by the time I get to work now is unrecognisable vs. travelling to work on the tube. So that's it folks - thats my attempt at being more responsible with my money in 2017 and to be fair toward the back end of 2016. All the stuff I've said above is so simple and it can be easily adapted to any budget and any lifestyle. Personally doing lots of little things sits well with me because it doesn't feel as 'obvious' or as 'painful' as the bank transfer on payday. It's like I'm catching all the little bits of cash I would usually waste on coffee or chocolate (whilst still buying plenty of coffee and chocolate - not gonna lie). What are your top savings tips? Are you saving for anything in particular? Let me know! 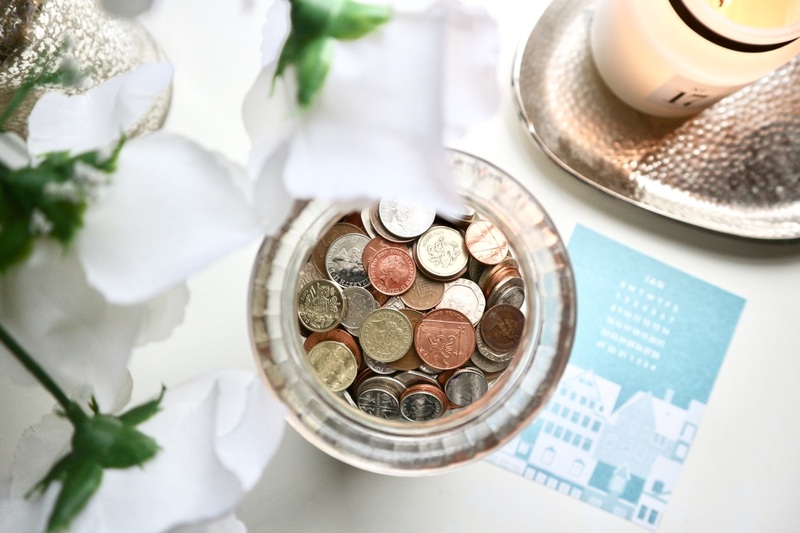 I love this post, I'm saving hard and spending as little as possible this year which isn't easy! I'm only a month in and I want to break it already!! Ughh it's so hard!